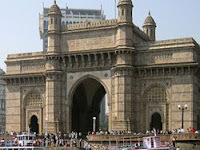 Goa is a well known state in India as it is one of the premier tourist destinations in the country. Compared to most Indian cities, Goa has been greatly influenced by the Portuguese which easily explains the historical structures as well as the religious orientation of the area. Although Catholicism is a minority here, nearly 25% of the city's inhabitants are Catholics. The area is virtually a melting pot of different culture as tourists around the world found the open and natural beauty of Goa to be highly appealing. Goa is divided into two areas – the North and South Goa. In terms of culture and natural beauty, they are almost identical. Both districts have beautiful beaches, churches that reflect Portuguese influence and tourists from different countries. At least 12% of the country’s tourists visit Goa or prefer to visit there than other places in the country. Aside from the bustling city experience in Goa, the other half or the inner-Goa features the rural life of India. This feature in Goa gives additional allure because it offers the rich city life near the shores of the districts while the rural life could be easily observed with just a few minutes of driving from the city. The most expensive hotels in Goa are naturally found in the shore. Rent a room a few hundred meters from the shore so that you can enjoy great discounts. Although they are not first class, they offer basic amenities which will ensure you enjoy Goa. Just make sure you don’t end up in really crowded areas of the city as your security might be jeopardized. The tourism industry is one of the hardest hit industries by the current recession. As “optional” services, tourists who find themselves financially strapped this time are holding on to what they have for more important products and services. On the other hand, those that have considerable savings are still hesitant to spend since they need to be assured that they have something tucked away in case something bad happens. But in the case of cruise industry, the current economic recession is just the tip of the iceberg when it comes to the problems that they need to address. The spiking fuel prices are taking its toll in this specific tourism industry. Although the price of fuel went down, forecast in fuel prices in 2009 are not favorable for consumers as well as the tourism industry. The exchange rate even has a part in adding problems to the cruise industry. As they are also transacting in other currencies, the continuous downfall against the US dollars are significantly affecting the industry. Even a small percentage swing against the US dollars could mean millions in losses. The worst part of this is that normally, the cruise industry will go back on its feet as soon as it’s down much like 9/11. But in this case, a swift resolution can’t be seen. But the Cruise lines are fighting back. This year, the cruise lines will be concentrating on their short cruise offers instead of offering inter-continental travel. The Caribbean destinations will still be kept as it is while the European and Asian travel will be cut short, if not discarded for 2009 or at least until current recession subsides. Bangkok is the capital of Thailand. Thai people call Bangkok as Krung Thep meaning the “City of Angels”. It’s actually one of the biggest cities in the world and its population reaches over 10 million people. It’s very active and what do you get from visiting an active city? A lot of FUN! If you’re in Bangkok, you must drop by Pattaya as well and enjoy their beautiful beaches there that are one of the worlds richest and beautiful. There are lots of places to go if you want to have a little sightseeing and picture taking. Bangkok has lots of great areas to visit such as the Golden Mount, Democracy Monument and Chao Phya River & Canal. Museums are worth visiting here too such as their National Museum and the Railway Museum. Bangkok is not Bangkok without their nightlife which is one of the most famous reasons for tourists to go to Bangkok. Bangkok has a good and a not so good reputation under their nightlife because prostitution in Thailand is a blooming industry. But, despite the rampant prostitution here, you can still find lots of great places to hangout all over Bangkok for an awesome night! Come and visit their Royal City Avenue or the Sukhumvit Soi 24 or go to the Patpong Night Bazaar for some great entertainment or maybe, the Calypso Cabaret is your thing. Shopping of course is very important. If you’re in Bangkok, go to Central World Plaza and Gaysorn Plaza. Over the weekend, shop at Jatuchak Weekend Market to get a good bargain on different Bangkok products and clothing. All in all, it’s fun to visit Bangkok and for sure you’d want to keep on coming back for more. 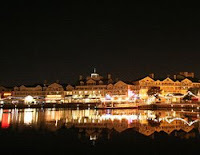 A common misconception about Orlando is that it is the home of various theme parks, large and small. But many of the theme parks are actually located outside the city. But this doesn’t count out Orlando’s popularity. The city has greatly benefited from the theme parks in terms of additional services such as accommodation and transportation. Because of these services, Orlando will always be busy. Surviving Orlando is all about coming to the city in the right time of the year. The peak months to visit the city are from June to August, March and April which means they are crowded with tourists. The city has the potential of attracting 52 million tourists a year so it could be easily crowded. The best time of the year to visit Orlando is before and after these peak months. You get to enjoy the best theme parks in the city without having to deal with the crowd. Off peak periods will even suggest lower hotel rates and better airfare. When in Orlando, always consider renting a car (now pay 10% less). This is the only way that you will be able to go around the city efficiently in your preferred time. Taxis and other form of transportation are possible but you might be spending too much for little service. Even with the traffic, you could easily navigate Orlando when you have a car. Just make sure you have GPS installed to avoid unnecessary driving around the city. Almaty used to be the capital of Kazakhstan until 1998. Although the country has lost this status, it is still the most popular city in the country. It is undoubtedly the most progressive city in the country as remarkable structures with Russian influence and scenic nature in different areas of the city. Almaty literally means “Apples” as different types of apples could be found in different areas of the city. You can easily arrive in Almaty as most airlines have direct flights to the Almaty International Airport. You don’t need to spend much in Almaty. 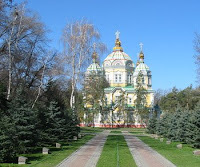 You can visit two remarkable structures with Russian influence right in the city: the Zenkov Cathedral in Panfilow Park and the Central State Museum. Interestingly, the Cathedral was built without any use of nails. The museum on the other hand, will show you the Russian influence on the country. But don’t just limit yourself to the wonderful parks in the city. Go outside a little bit and enjoy the scenic nature Almaty has to offer. Less than 20kms south of the city is the Zalaisky Alatau Mountain. The mountain is divided into two areas based on its heights: the Medeu located at 1700 meters above sea level and the Shymbulak which is at 2300 meters. You can enjoy skiing at Medeu and visit the massive Olympic stadium. If you’re into skating, you’ll find yourself challenged in the speed skating area in Medeu. Shymbulak on the other hand has a scenic resort for tourists. As you depart from Hurghada on board the beautiful Harmony G, expect to have a great experience on board and while touring along Egypt on a 7-day Red Sea Cruise. Harmony G has only 22 cabins and they have 16 members staff so you are assured you’d get a great service and be personally attended to by them. Just the ship itself is already worth the 7-day fun already. You can have a great dining experience in their classy restaurant while lounging in the inside upper deck. Or you can go and get your skin tanned on their sundeck. You can enjoy swimming on sea-water too with quick access on the deck. Touring Egypt is a great experience as Harmony G takes you to Sharm el Sheik, Ras Mohamed National Park, Petra’s rock architecture and you tour the ancient ruins of Luxor and so much more. And in January you can get a very good price for your cruise. In just 7 days you would feel like you’ve totally experienced Egypt but with style and sophistication. For sure you’d want to keep coming back for more from Harmony G.
With the 7-day tour, you will be given an itinerary as to where you’ll be going. The first day is the departure day from Hurghada, Egypt. On the second day you’ll be in Sharm el Sheik, 3rd day in Ras Mohamed, 4th in Aqaba, Jordan, 5th would be an optional day to travel to Petra in Aqaba, Jordan, the 6th day you’ll be in Taga, Egypt where you can visit the Pharaoh’s island and take pictures of the ruins there or enjoy swimming on their clear water. On the 7th day you’d arrive in Safaga, Egypt where you can also go and have the optional tour to Luxor which is one of Egypt’s most popular tourist attractions. On the 8th day, you’ll be going home with lots of memories and pictures to take with you. Since the Olympics are over in Beijing; the stadiums that were built for the event are customized for local use. The Olympic stadium for swimming known as the Water Cube will become a swimming center. Some of its parts will also be converted into a water park. The Tennis Stadium will have some minor changes as it prepares for the China Open. Other venues were also revamped for the same use as they were during the Olympics. But the famed “Bird’s Nest” stadium, wherein the opening night of the Olympics was held, is in a different situation. The stadium is still looking for a permanent tenant such as a sports club who will use it as their new asset. Unfortunately, the only interested party backed out of the deal as proposed renovations to the stadium were denied. Aside from denying the request of the Guo'an (a popular soccer Club in China) to reduce the number of seats to 80,000, rent was too expensive. As of this writing only one event is confirmed in the stadium – an opera titled “Turandot” set to be performed on the 8th of August. For now, the “Bird’s Nest” is just a tourist attraction. The tour will cost the visitors around US$7.00 or 50 Yuan. The tour is usually from the stadium, to the box seats and to the souvenir shops. But even with this income generating option, it will almost be impossible to recoup the US$450 million spent by the government to build this remarkable structure. Crawford, Texas is a small rural town found in the central west portion of the state. With less than a thousand inhabitants, the town is considered an agricultural area as you can see ranches, acres after acres of crops and the local here have a simple way of living their lives without the busy streets of a city life. All seem simple in Crawford except for one fact: this town is the home of the soon to be outgoing president of USA, George W. Bush. For at least eight years, the town has become a tourist destination for different individuals as they take time to visit the ranch where the current president relaxes from time to time. But the appeal of Crawford to tourists around the country is slowly going down. During the first years of the current president's reign, the town was filled with tourists almost every day. When the president is in town, the number of people also increases. Even anti-war protesters have also set up a small office here so that they can easily converge when they need to get out and speak their voice. Even the local souvenir shops are rarely open as fewer travellers end up in this part of Texas. The anti-war office is also closed. 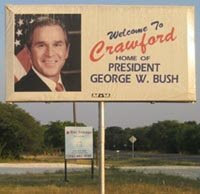 Slowly but surely, the town is going back to its normal conditions as the presidency of George W. Bush comes to an end. Aside from the fact that he is #1 in tennis, Rafael Nadal brings more than just fame to Mallorca . His charisma in the game makes him a highly watched talent. His on and off court interaction with Roger Federer have been well documented. In the spirit of competition, the charisma of both players has drawn millions around the world whenever they face each other. Rafael Nadal was reportedly paid more than $8 Million dollars for this endorsement. He will become an endorser of his hometown for three years which hopefully would be a great deal for Mallorca . 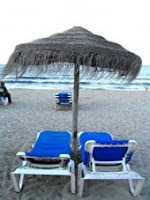 Despite the looming economic crisis, Mallorca is still confident that its tourism will experience a significant boost. Wataniya Airlines has set its first commercial flight on January 24, 2009. This newly established airline is based on Kuwait and its flights are primarily aimed for tourists and businesses who wanted to experience luxury travel. The route of the flight will be from Kuwait to Dubai. The airlines will fly to Dubai twice daily from that day on. Aside from offering a luxurious travel, the Wataniya Airlines will also set history in Kuwait. Instead of flying out on Kuwait International Airport, the airline will be flying out of the Royal Terminal – the first in the country. This will ensure personalization of services and even ease of transportation. The airline company will be using Airbus 320s but has been reconfigured to become a roomy aircraft for the passengers. Instead of the regular 145-seater setting, the aircraft will only have 122 passengers per flight. This ensures that travelers will have more space for themselves during travel. Of course, the amenities are no less than world class. Travellers will have personalized in flight entertainment, an option to load their mobile media players and charge other electrical equipments. The seats are even suited with Recaro leather - all personally crafted for the airline. This type of seats is only found highly expensive luxury sports cars. Aside from the additional office in Dubai, the airline will be closely working with Planet Group, Dubai's premier sales agent for airline and luxury travel. Through their tie-up, they are hoping that the maiden flight will be a success as this will just usher in a new mode of luxury travel in the Middle East. Even though the world has experienced losses in their tourism industry because of the recent economic problem, Cuba didn’t seem to have any problem enticing tourists to visit their country. The Ministry of Tourism in Cuba has reported that the number of tourists, along with the revenue increased by 2% in 2008. The country has welcomed 2.3 million tourists last year which has translated to more than $2 billion of spending. But this story of improvement has a twist – the country experienced significant losses in 2007 in tourism. This was during the time when everyone else was experiencing increase in the number of tourists. This type of trend however, is yet to be seen. The country even improved their tourism even though they have experienced a number of natural calamities this year that ravaged their top tourist destinations. The beaches and the beautiful islands of Cuba have always enticed travellers and even with the recent hurricanes, the tourist destinations rebounded and improved. According to their latest released data, the most number of travellers to Cuba come from Canada. More than 800,000 Canadians visited the country for the past year. This figure meant that the number of tourists from this North American country increased by 24.5%. Other European countries also come to Cuba in significant numbers. For 2009, the tourism industry is expected to rise as the country is getting more aggressive in improving its services to tourists. Although no figures have been put up for next year, the tourism industry has already gained momentum which will continue in 2009.